Peanut butter pyramid - Hamilton School District. Marcy Elementary School families recently raised more than 350 containers of peanut butter to contribute to the local food pantry. 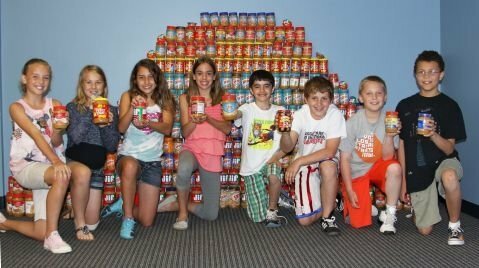 The idea for the Peanut Butter Pyramid came from the Marcy Leadership Group, eight fifth-graders chosen by their classroom teachers who work with school counselor Lori Schlapman to plan and promote charitable activities at the school.